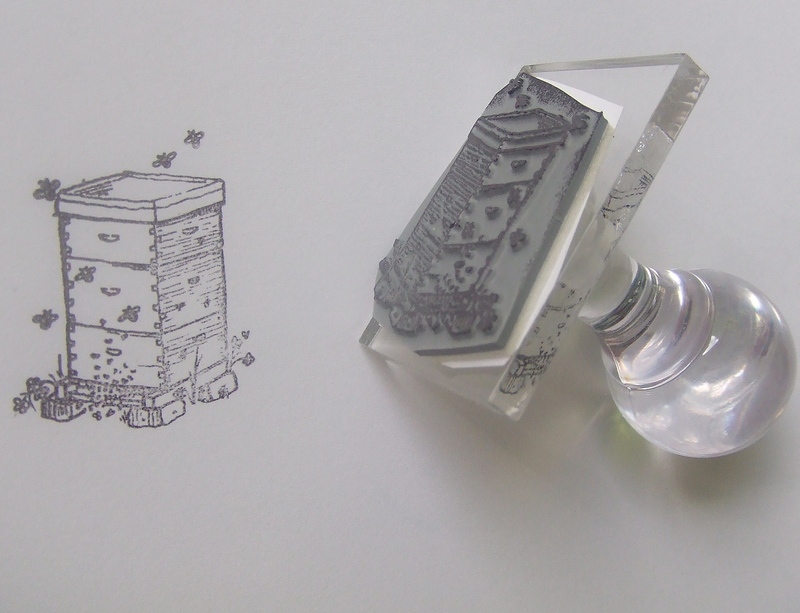 ref: RS - Hive & Bees RUBBER STAMP. Suitable for adults and children alike! An attractive design Rubber Stamp which leaves a sharply defined outline when printed on paper or fabric. substantial handle for easy operation. For use with any ink pad from a stationary or art shop. Ink pad not supplied.